Everything you need to know about choosing, applying for, preparing for and settling your child into their first school place. Having a second baby is a very different experience from having your first, yet there is little recognition of the wide range of issues that need to be considered when bringing a second child into the family. In this incredibly helpful book, Sarah Ockwell-Smith helps parents feel more positive and prepared for life with two children. The book begins with the obvious question: when is the right time to add another member to the family? It then goes on to examine the specific issues that can arise with a second pregnancy and birth; the common concerns about siblings, such as how to prepare your firstborn for what’s to come; how to cope with the practicalities of life with two young children (aka actually managing to get anything done! ); and the feelings parents are likely to experience, too. The Second Baby Book examines all the questions and issues Sarah herself faced second time around, as well as sharing the experiences of the many parents who have sought her advice. It also highlights what scientific studies reveal about such issues as the spacing of children and the differences between first and second births. Practical, insightful and honest, this book will help you understand the challenges ahead but, more importantly, it will equip you to meet them with knowledge, confidence and a sense of excitement for the future. If you’re like most parents, you’re as nervous about potty training as your little one is. But help is on the way. This supportive guide provides step-by-step advice for a compassionate and emotionally aware process—one that focuses on positive connection rather than relying on gimmicks, pressure, or rewards (which usually backfire). Written by popular parenting expert Sarah Ockwell-Smith, creator of Gentle Parenting, this is the only book you’ll need to guide your child through this developmental milestone–without trauma, drama and tears (for baby and parents alike!). The Gentle Eating Book will help parents to understand their child’s eating habits at each age. Starting from birth, the book covers how to start your child off with the most positive approach to eating, whether they are breast or bottle-fed. Parents of older babies will find information about introducing solids, feeding at daycare and when to wean off of breast or formula milk. For parents with toddlers and older children, Sarah includes advice on picky eating and food refusal, overeating, snacking and navigating eating at school, while parents of tweens and teens will find information on dieting, peer pressure, promoting a positive body image and preparing children for future eating independence. At each age The Gentle Eating Book will help parents to feed their child in a manner that will set up positive eating habits for life. An indispensable guide for parents looking for a more gentle and easier way to toilet train their child. 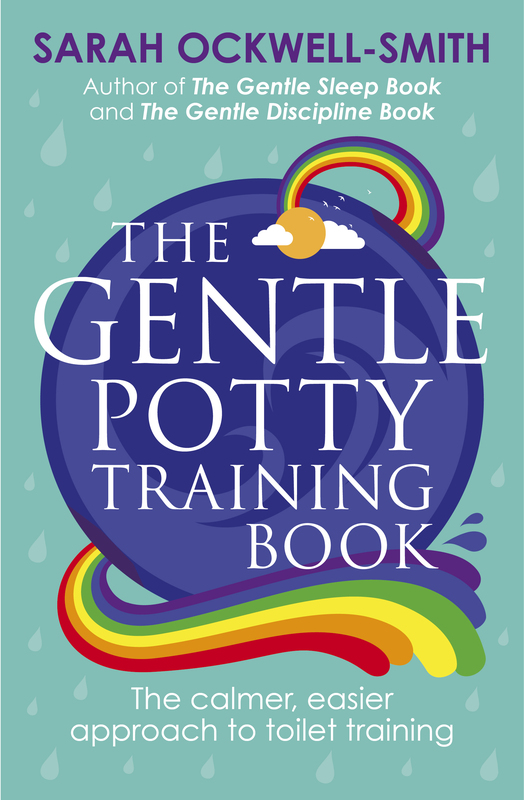 The Gentle Potty Training Book is a concise guide to the toilet training process. It will help parents understand when to start the process, and provide a step by step guide to the best, most gentle and easiest approach to take, as well as how to cope with the inevitable regressions and setbacks. A practical guide that presents an alternative to shouting, shaming, and blaming–to give kids the skills they need to grow and thrive. 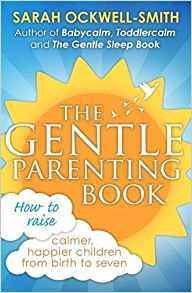 The Gentle Discipline Book is an indispensable guide for parents looking for a more gentle and effective way to shape their child’s behaviour. 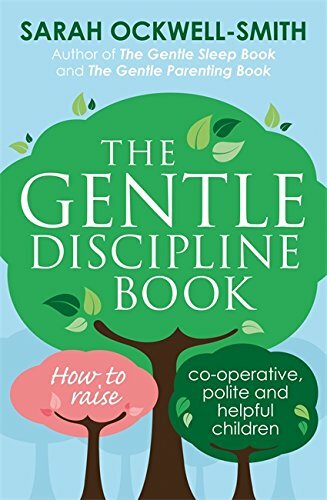 The Gentle Discipline Book will help parents to understand why their child acts in the way that they do, how they can get their child to listen to them and how to get them to behave in more appropriate ways, both now and in the future. The book explores the idea of discipline and what effective discipline really looks like. Gentle Discipline is a world away from the punishments and rewards so often advocated and turns what many think about raising children on its head. Covering a range of ages from toddler to teen the book will help parents to understand how the minds of children work and what makes them tick at each stage, helping parents to adopt a style of managing their child’s behaviour that will see them through many years to come. wide variety of topics, including coping with a crying baby, introducing solid foods and creating healthy eating habits, potty training, starting nursery and school, sibling rivalry, tantrums, whining and sulking, aggressive behaviour and much more. “This book is full of useful tips for how to parent gently. Drawing on her own and others’ experiences, and with her trademark forthright approach, Sarah Ockwell-Smith offers advice and guidance for parenting children in a way that encourages and enables them to grow and learn. While the book is aimed at parents with children from birth to age seven, much of what Sarah has to offer is also relevant for parents with older children, and for relationships in general.”. Gill Rapley, PhD, co-author of Baby-led Weaning and the ‘baby-led’ series of parenting books. ‘Why Your Baby’s Sleep Matters‘, Pinter and Martin, 2016. 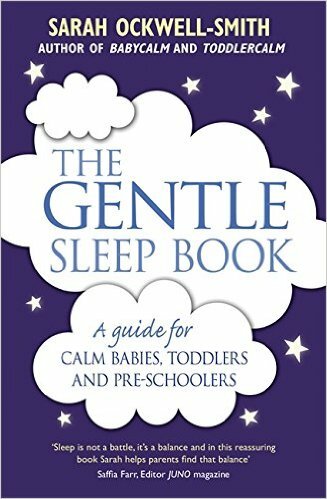 No other book on the market concentrates on providing gentle sleep help for this age range. Most focus only on the under ones or separate their advice into very small age brackets, meaning parents have to buy several books as their child grows and their sleep problems change. 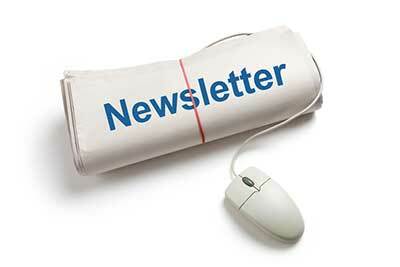 Others focus on harsh behavioural methods not backed by modern science. ‘BabyCalm: A Guide for Calmer Babies & Happier Parents’, Piatkus 2012. BabyCalm: A guide for calmer babies and happier parents by Sarah Ockwell-Smith offers a refreshing alternative to prescriptive, routine-led parenting. If you want to find ways to cope with tiring days and difficult nights without putting your baby on a strict routine, or resorting to sleep training, this new, gentle guide is for you. “As a first time mum the ideas contained in the BabyCalm book make perfect sense, and it gave me the confidence and knowledge to enjoy my new family. Faith is a very happy little girl and we are very happy parents”. ‘ToddlerCalm: A Guide for Calmer Babies & Happier Parents’, Piatkus 2013. ToddlerCalm, by Sarah Ockwell-Smith, turns mainstream parenting techniques on their head and offers a genuine alternative to raising your toddler. Are you looking for ways to cope with your toddler without resorting to the naughty step or controlled crying? ToddlerCalm offers a gentle approach to parenting that will help you to enjoy your toddler, to understand the limitations of sticker charts and time out, to have the confidence to ignore the experts and to parent your own child with empathy and trust. Professor Wendy Middlemiss, Associate Professor of Psychology, University of North Texas.